Pay-Per-Click (PPC) can be extremely cost-effective when managed by professionals who truly understand how the model works. Without the right team in place, you can easily sink your budget and negatively affect your Return on Investment (ROI). If you apply these definitions to marketing, relevance logically falls into one of two categories: relational relevance and necessity relevance. With relational relevance, your chosen terms will be readily identified by search engines through algorithms, which match search terms against ad content. Necessity relevance describes relevance in the mind of the user, and is best determined by the merchant through conversion statistics. So you think you crafted a flawless ad, with relational relevance wherein the terms in your headline, the search engine and the resulting landing pages all relate to one another and you’re receiving favorable ad placement and impressive click-through rates? Well, unless your offer clearly satisfies the needs of the searcher, your "impressive" click-through rate will not translate to coveted conversions. What is he/she looking for? What does he/she want? Effective ad copywriting is key to creating both relational and necessity relevance. The right PPC Campaign can gain visibility for your company and can boost your company's reputation. We offer our clients a clear picture of which aspects of their campaign are attracting business and those that are harming their online marketing efforts. Each campaign requires extreme attention to detail, constant evaluation and the flexibility to adapt to new data. 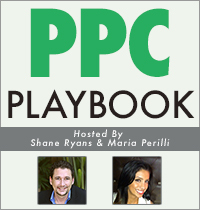 We are the ultimate PPC Professionals!